Chinese system builder Lenovo has reduced the amount of packaging it uses by as much as 25 per cent per PC. The company is undoubtedly jumping on the green bandwagon, but it has received awards and plaudits for its new packaging which has less reliance on traditional foam materials. The company has also been lauded by the US Electronic Products Environmental Assessment Tool ( EPEAT ) for exceeding its criteria with more than 40 product lines. 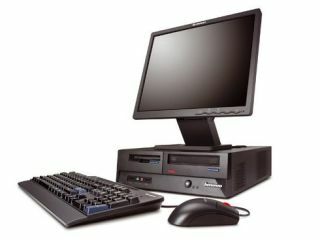 Lenovo's new desktop PC pack has "significantly reduced" the amount of new plastic needed to ship a PC. The new pack is also completely recyclable. The manufacturer is using a new foam-like material which it dubs "ReflexR thermoformed cushions." "Our desktop PC pack represents Lenovo's best-in-class thinking and demonstrates the company's commitment to developing solutions that are beneficial to the environment, our customers and Lenovo," said Gerry Smith, head of global supply at Lenovo.